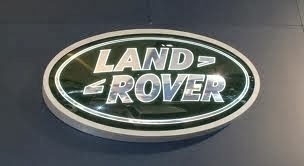 For sale is my Land Rover Defender 110 300Tdi. It's a long wheelbase soft top, great for accepting awkward size loads (wide opening compared to normal back door) - fits more in. Plus, converts in 15 minutes into a pickup, still keeping the cabin covered, also great for summer fun. The bit you should know about is an inch & a half tear to canvas on the rear. That's it! Very immaculate, in and out. The Landie looks great! · Low genuine mileage: under 77,500 miles. · 300 tdi - a very versatile engine, and the best for the balance of simplicity and modern efficiency. · Disc brakes all round. · 3ml black chequered plate. · Stainless steel bull bar. · Front and back Dif guards. · Has x2 bench seats with seat belts, but one is not currently being used. · The underside has been fully wax-oiled in 2014 by 'rust master' which has a five-year warranty. 3 year old Exmoor Trim canvas hood - very good. Ex-MOD vehicle - it came out of the MOD in 2004. It's been well-cared for by all previous owners. 4 months MOT remaining. If you have a desire to purchase a good defender, you will not be disappointed with this one. I will be very sad to see it go - such a useful tool, not just a vehicle - and whoever purchases the vehicle will undoubtedly have as much fun using it as I have had. Please come and view if you can, but if not be sure I will help you as much as I can with questions should you wish to buy.